The Best Granite & Quartz is a family-owned and operated business located in Beaumont, Texas serving all areas in Southeast Texas. We have completed thousands of granite and quartz projects since opening our doors in 2013. We love helping our clients design and build beautiful kitchens, bathrooms, outdoor kitchens, Patios and Porches with Granite, Quartz, Marble, Ceramic, Porcelain, Travertine and more. We are dedicated to making sure you get exactly what you expect by providing professional, qualified and experienced design solutions you can’t wait to show off to your friends! Give The Best Granite & Quartz a call today at 409-835-5555 for all your natural and man-made stone projects. Granite is natural stone and needs to be sealed every 1-3 years by wiping it down, so it’s super easy to care for and really durable for putting hot products on so tends to be the strongest and most resistant to heat. *Comes in tiles and slabs. We carry Daltile, Omni, and MSI, so click on their logo below to see the different color choices for Marble to use for your next project. 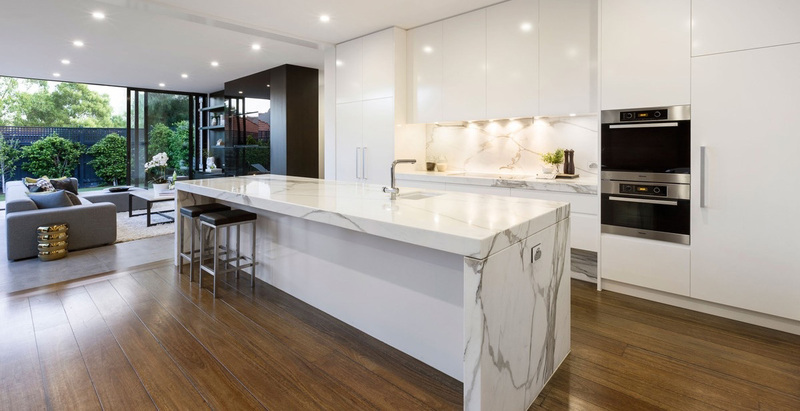 Quartz is a man-made product and doesn’t require any maintenance and doesn’t stain, but be cautious of damage when setting extremely hot products on the surface. We carry Cambria, Silestone, Wilson Art, Vico Stone, Caesar Stone, Daltile and MSI, so click on their logo below to see the different color choices for Marble to use for your next project. Marble is a natural stone usually coming in off-white, gray or brown shades and is softer than granite so can be damaged. It requires more care than granite and is usually used in restrooms and modern contemporary designs. Ceramic Tiles are used when you want a durable tile for low traffic areas but mostly because it is cost effective. It comes in a large variety of colors and shapes. This is often the choice for residential homes and apartment building owners. The glaze used on ceramic tile not only adds durability to the tile but is responsible for the final color and pattern of the tile. *Comes in tiles and sizes vary. We carry Dal-Tile so click on their logo below to see the different color choices for Ceramic Tile to use for your next project. Porcelain tile is the most durable tile and comes in many different colors and shapes. If you chip porcelain tile, it often goes unnoticed. Porcelain tile is harder and more impervious to moisture so is a good choice for outside use. *Comes in tiles and size varies. We carry Daltile, so click on their logo below to see the different color choices for Porcelain to use for your next project. Travertine is a naturally made stone and adds a natural look to any home or business. It is an elite type of natural limestone which is durable and comes in beautiful variations. This stone can be used in both linear or a cross-cut design. Travertine can be used inside or out in many ways and is often used in spas for a natural look. *Comes in tiles and slabs and sizes vary. We carry Daltile and MSI, so click on each logo below to see the different color choices for Travertine to use for your next project. ** All natural and man-made stone products can be used for counter tops, walk in showers, tub surrounds, floors, walls and more. The Best Granite and Quartz has a large selection of granite, quartz, marble, travertine, and tile to choose from. **We will also install laminate wood tile, glue down, hard wood floors and laminate flooring.